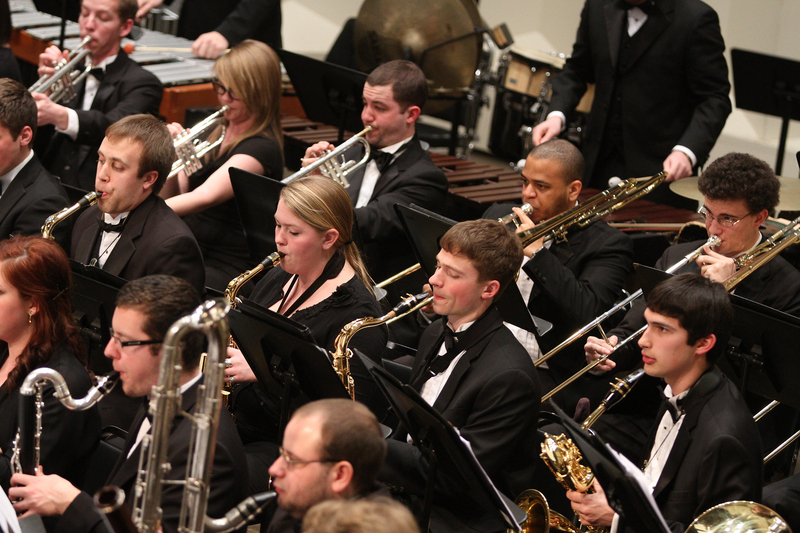 Miami University’s department of music has formed a new music ensemble, performing their inaugural concert at 7:30 p.m. Wednesday, Sept. 16, in Hall Auditorium. Directed by Gary A. Speck, the ensemble, named MIASMIC, will feature the performance of In C by contemporary composer Terry Riley. Admission is free. Riley launched what is now known as the Minimalist movement with this revolutionary piece of music, composed in 1964. In C consists of 53 short, numbered musical phrases, each repeated an arbitrary number of times with each musician controlling which phrase he or she plays at varying intervals. The piece can be performed for any number and combination of instruments. Due to the nature of the piece, the group is inviting instrumental performers from both the campus and the community to join the ensemble on stage for this special event. Participants would be required to attend one rehearsal as well as the final dress. Interested participants should contact Speck at speckga@miamioh.edu. This opening season performance aligns with the Year of Creativity and Innovation at Miami and the College of Creative Arts’ themed "Come Play With Us" initiative for the upcoming year. "We are excited about showcasing the many offerings that our performing and visual arts provide to students and community alike," said Liz Mullenix, dean of the College of Creative Arts. "We look forward to expanded opportunities for participation among all. We invite you to Come Play With Us!"